If you’re looking for the best BPAY betting sites, you might’ve experienced difficulties in finding the right one. There are a lot of betting sites that accept BPAY deposits, which makes the final decision which one to join, that much more difficult to make. We will present you the top BPAY online bookmakers, but we will also try to bring it close to those of you that have no idea how it works and how betting sites treat BPAY deposits. In case you’ve used BPAY services before, you can jump right away to the top bookmakers we recommend. All others, we recommend to skim through the text below the list, to get familiar with what’s BPAY, and how it can be of service to you. Joining any of these is a safe call! Your BPAY deposits are welcomed, and so are you. While you’re at it, note there is a welcome bonus that will get you started, and will make the transition smooth. So, why is BPAY so big in the online sports betting industry in Australia? Why it’s so popular? It’s simple! You use BPAY, your neighbor does, and more than 45,000 businesses in Australia recognize it as a safe and secure payment method. No wonder BPAY betting sites thrive in Australia. BPAY Online Bookmakers – What to Expect? Frankly speaking, it’s not the most popular deposit method amongst Australian punters. Nevertheless, it’s there and there still are betting enthusiasts that are willing to use BPAY’s services. Moreover, Australian betting sites seem to be OK with it. BPAY’s a neat payment provider. It keeps track of all your payments, in the form of invoices. In other words, you cannot pay private transactions. Nevertheless, this does not stop betting sites from accepting BPAY deposits. Simply by opting for BPAY, you put yourself in an odd position, which largely has to do with how BPAY works, how it operates. Its pros and cons, BPAY’s advantages and disadvatanges, enable punters to clearly decide if it’s the real deal. Unlike other payment providers. BPAY is unique. With that being said, we cannot identify a direct competitor which operates in the same manner, following the same model. All betting sites that accept BPAY deposits are licensed in Australia. 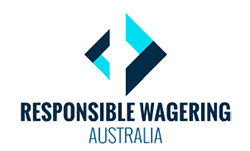 Your betting activities are in line with Australian law and regulations. It is accepted by the top bookmakers in the world, and the best in Australia! Or is it? Regardless, Bet365 Australia is ready and waiting for your BPAY deposits. Although all other Australian payment providers are accepted as well, BPAY does have its own merits. We’re going to touch upon this particular topic in greater detail. For now, all you should know is that deposits made with BPAY qualify for the promotions displayed at Bet365, unless otherwise specified. As far as bonuses go, that’s a totally different matter. Bet365 is highly volatile regarding this matter. This is why we’re going to refrain from stating what the bonus offer actually is. It’s best to click on the bet365 logo above and check it out yourself. It is without any doubts one of the best BPAY betting sites out there. Unibet is one of Bet365 fiercest rivals, both in Europe and in Australia. For what it’s worth, they differ greatly! In case you want to find out what these differences are, follow the links to our respective bookmaker reviews. Soccer, racing, cricket, basically every sport is covered. Of course, the more popular ones feature way more markets. Then again, the Unibet Australia is a separate website which perfectly reflects the preferences of Aussie punters. Everything you see is at your full disposal. BPAY is part of the payment options. In case you don’t see it listed, that’s because you’ve drifted to some of Unibet’s other sites. Betfair, the world’s largest betting exchange is present in Australia. Let’s just say that it’s a great place for punters who are looking more excitement out of the current events. You never know what another punter is up to, and maybe you have a better insight. As we view it, it’s the place where avid punters meet. Betfair Australia is the place where Australia’s most passionate punters meet. Do you have what it takes? A BPAY deposit is a good start! Although we frown upon it, BPAY is among the most secure payment methods for Australian punters. Why? Its greatest feature is also its worst flaw. Nevertheless, all of its flaws have to be duly considered. Otherwise, your expectations will definitely won’t be met. Regardless of which of the BPAY betting sites you join, you will have to deal with the below listed flaws. First, we’re briefly going to show you the BPAY disadvantages. In case you want to learn more about any of the flaws, and how it may affect your betting experience, read on below. The list is short, but most of the punters we know would look carefully take them in consideration. For what it’s worth, here’s our opinion on each of these in greater detail. How Long Do BPAY Deposits Take to Complete at Online Bookmakers? But not everything is perfect about BPAY. This is why we recommend PayPal in the first place. It will take a couple of days before the transaction reflects on your betting account. The best case scenario is the money become available within 48 hours. Now, if you’re trigger happy, and you want to be immediately, then you have to look for other options. BPAY won’t meet your needs. This is what makes the BPAY inferior to the likes of PayPal and POLi. Speaking of which, POLi works similar to BPAY, just without the code, and it’s instant, but you have to pay a tiny fee. Not that it’s of great importance to you, but this makes BPAY available in Australian betting sites only. You cannot deposit with BPAY at international bookmakers that do not support or do not accept AUD. Moreover, due to the legal status of online sports betting in Australia and how it’s governed, rest assured, you will be able to deposit and place your bets in AUD. Now, most of the bookmakers we recommend are international companies, but they have Australian licenses. Because of this, you can make deposits in AUD only. Although it started as a utility bill payment solution, it grew and expanded like wildfire, eventually getting to bookmakers, giving us another payment option, enabling us to filter bookmakers, creating this BPAY betting sites selection. Before we go any further, punters who have an interest in joining an international bookmaker can use BPAY, but only via Neteller. That being said, you need to create a Neteller e-wallet, fund it with BPAY, and then make your deposits with Neteller at the international betting site, which does not accept AUD. Unlike BPAY, Neteller supports more than 15 currencies. If for whatever reason you see the BPAY logo at the international bookmaker, rest assured it fits the description of other BPAY betting sites. You’ll get the same “local treatment” Australian BPAY betting sites provide you. Can I Withdraw with BPAY from Betting Sites? You cannot. BPAY is meant to be a deposit method only. Typically, punters who deposit with BPAY withdraw via bank transfers. It’s not as bad as it sounds, because inter Australian bank transactions are free of charge. It’s another seeming unimportant flaw that could put you in a state of distress down the road. Then again, you know what you’re getting yourself into. Unlike EU and UK banks, Australian banks give you the courtesy of receiving the money as fast as possible. It’s a feature that not many financial markets can boast with. Chances are, the bookmaker won’t allow you to choose other withdrawal methods. This is why if you intend to withdraw via PayPal, or a credit card, it’s best to make the deposit with the said payment method as well. It can be troubling, but we’re pretty sure you know what you’re doing, and what you can expect down the road. We simply touched upon this topic. We consider BPAY to be the most secure payment method because it takes so long for the money to reach the destination. The confirmation which any BPAY user has to give before the entire transaction is initiated, in our opinion, that’s the best security mechanism. Additionally, BPAY has cultivated this exceptional reputation which few can match. Then again, it’s worth noting that you should also be careful with which one of the BPAY betting sites you cooperate. However, DO NOT GET THE REFERENCE NUMBER WRONG. DOUBLE, IF NECESSARY TRIPLE CHECK THE NUBMER. Banks do not offer any kind of protection from scams or frauds. BPAY does not offer any protection either. In practice, it all boils down to common sense. If you send somebody money via bank transfer, you can’t expect it to be returned if it arrives at the wrong place. That’s why the mister or the lady at the bank will ask you to double check the information/details you’ve provided. Bookmakers seem to respect BPAY, like all other Australian businesses do. Now, we did mention that it can be complex, difficult to digest at first. That’s only if you’re new to Australia, and to BPAY as well. Once you get the hang of it, you’ll be using it for other online purchases. Chances are, your employer is paying your salary with BPAY! Are There any BPAY Deposit Fees at Online Bookmakers? One of the best features of BPAY is that you do not need to cover any fees. The merchant, the vendor, or in this case, the betting site, it covers the transaction fee. And no, betting sites do not offset this fee charge against your account balance. This is the cornerstone of BPAY’s success. It’s been live and running since 1997 because people are willing to use it, and we totally understand why. Credit cards and e-wallets come with transaction and maintenance fees, that accumulate in the long run. It’s against BPAY’s policy! It’s the main principle of BPAY, the business covers the fees. BPAY is an online banking method, which is available to mobile punters, but as we said, sort of. It’s not like the amount you deposit is available immediately. This defeats the whole purpose of mobile deposits. Nevertheless, it is a feature, because it allows mobile punters to easily confirm the BPAY betting sites deposits. Instead of having the call the bank and verify the deposit, you can simply do so via the BPAY mobile app. The BPAY mobile app is not mandatory, meaning it’s not like you HAVE TO use it. It’s entirely optional. Although, it is our duty to kindly recommend it. This puts BPAY shoulder to shoulder next to the leading market dominating payment providers, such as POLi and PayPal. Not all manage to keep their cool. Betting is exciting, and it can be rewarding, but it can also do great damage to people who simply don't know when to stop. BPAY is a great payment solution for punters who have been victims of compulsive betting. It's not like the money is going to be readily available for betting instantly, which makes it great once the urges present themselves. This is not adding fuel to a fire, instead, it's a great remedy. It gives the punter a sense of control, yet there is a fail safe mechanism. By the time the money is available for betting, the punter is most likely to lose the excitement and start thinking clearly. Betting is fun, and we should keep it that way. Breaking the bank has never been an option, nor a solution. If you have a friend who's in this situation, recommend using BPAY! How to Deposit with BPAY at Betting Sites? Before you place any bet, before you open an account with any betting agency, it’s best to check out the review we’ve conducted. Once you’re certain of what you want to do next, register and verify your account. Now, you must find your PERSONAL BPAY CUSTOMER REFERENCE NUMBER. This number is tied to your customer account. Usually, this number can be found in the “My Account” area and IT’S UNIQUE PER ACCOUNT, meaning it will be a different number if you join a different betting site. If you get this number correct, you’re going to be just fine. Now, “contact” your bank or whatever institution has your money. “Online banking” are the words that come to your mind. Just provide this number and the amount you wish to deposit. You’re all set! You can deposit as little as $5, although we recommend a heftier amount, at least double the minimum. It doesn’t necessarily need an alternative, but our basic principle state that any punter must be enabled to deposit when he/she pleases. This is essential. Otherwise, the whole point of online sports betting is missed. There are punters who like to take it slow, then there are those who are impulsive and want what they see now, immediately! Thankfully, there are payment providers that fit these criteria. In case you don’t want to go too far from home, POLi Payments is a great option, because the deposits are instant, and the servicing fees are acceptable. Additionally, all bookmakers that are inclined to Aussie punters are willing to accept your POLi deposits. However, in spite of POLi’s exceptional qualities, we’d still recommend PayPal, both as a deposit and a withdrawal payment method. Why? Because there are absolutely no fees! All costs are covered by the bookmaker. Joining any of the BPAY betting sites we’ve recommended already guarantees you’ll be staying at an Australian run bookmaker. You can use BPAY simply as a guide that will take you to Australian based bookmakers. Then, you can deposit with other payment options, the likes of PayPal or POLi. Can BPAY Payments be REVERSED? Unfortunately, they cannot be reversed. In case something of this nature happens, it's up to the recipient if the money is going to be returned to its rightful owner. BPAY is just the messenger. It does not provide a platform for resolution of this kind of problems. Cardlink Technology Group, which is wholly owned subsidiary of the top 4 Australian Banks: Australia and New Zealand Banking Group, Commonwealth Bank, National Australia Bank and Westpac. Can I dispute a Pending BPAY transaction? No. Only the merchant, or the betting site can initiate something of this nature. Moreover, the “dispute” can commence only once the transaction is completed. In other words, once you initiate the transaction, and its status is PENDING, you have to wait. In the meantime, it's best to contact the merchant or the betting site, to inform them of what's happening.